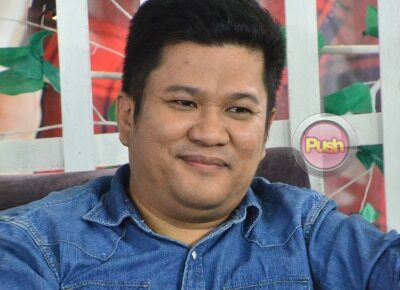 Theodore Boborol admits he is excited to direct John Lloyd Cruz’s big comeback movie for Star Cinema. After it was announced that he would be at the helm of John Lloyd Cruz’s next Star Cinema film this year, director Theodore Boborol said he is actually excited to work with Lloydy again. "Si John Lloyd I’ve worked with him before nung first movie nila ni Bea Alonzo yung My First Romance. Hindi pa siya John Lloyd Cruz nun. Ako yung script continuity. That was 12 years ago, lumang-luma na (laughs),” he shared. After more than a decade of working in the same industry, direk Ted said he has noticed how Lloydy has evolved as an actor. "Siyempre when I first worked with him he was only 20 years old then so medyo nag-sa-start pa lang siya. Hindi pa siya yung John Lloyd Cruz na icon. He was very young obviously. Ang pinaka-main difference was the maturity. He’s more mature now. He’s of age and at the same time I think he’s in a place na parang kahit anong gawin niya, he’s already John Lloyd Cruz,” he explained. As a director, direk Ted said he wants to be open-minded when talking to the performers in his films. "I’m a director who collaborates with actors. So I expect that we will be collaborative with each other when it comes to doing this movie. Yun yung pinaka-expectations ko for him which is not bad naman for me because gusto ko naman ng ganun. I prefer working with intelligent actors rather than actors who just follow instructions,” he shared. In their upcoming project, the Vince and Kath and James director said that the Kapamilya heartthrob will be returning to his mainstream roots in Pinoy cinema. "Siguro ang pinaka-challenge din is for John Lloyd this will be his comeback in a movie that’s produced by a mainstream studio. He’s coming from Ang Babaeng Humayo and Hele sa Hiwagang Hapis so yun yung pinaka nagbago siguro. He’s already John Lloyd compared to before na he was still trying to prove himself,” he said.